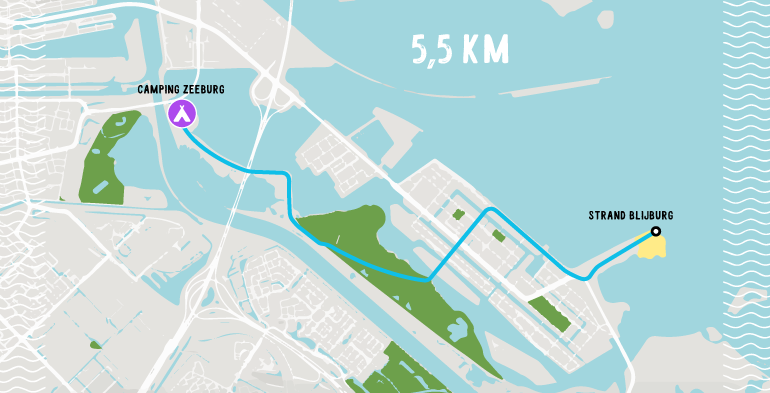 By bike you can reach the center of Amsterdam in fifteen minutes. Did you know that, if you bike the other way, you can discover at least equally beautiful places? Campsite Zeeburg is an ANWB Hospitable Point. That means that cyclists are welcome here, whether they're staying at the campsite or not. Here you can drink a cup of coffee as a cyclist, but also patch your tire, inflate it or charge the battery of your e-bike. The ANWB Hospitable Points are indicated on the bike junctions map. The Stelling of Amsterdam is part of the Unesco world heritage sites for a reason. The Stelling consists of 45 fortresses around the city. They are perfect for beautiful bike tours. From the campsite you can bike in an hour to the Muiderslot, where you can travel by boat to fortress island Pampus. You can easily book tickets for the boat trip and entrance to Pampus online. 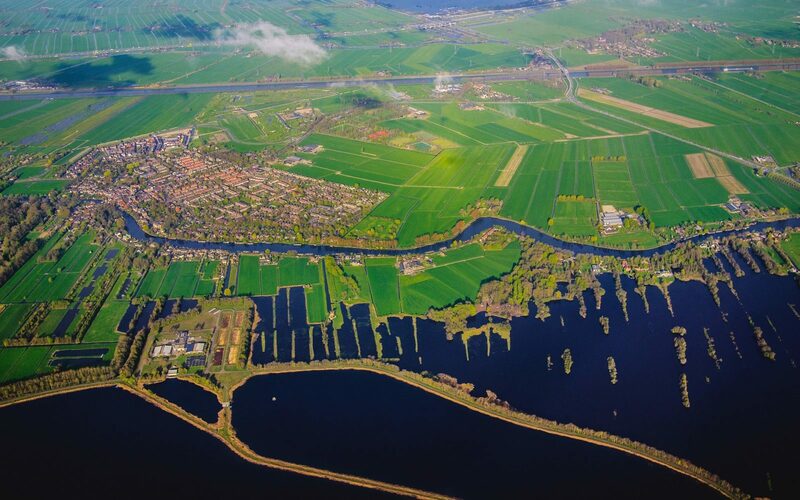 For those who prefer staying closer to home, a trip to Durgerdam is perfect. The picturesque fortified village is located just 15 minutes by bike from the campsite. Here you can fully relax. Would you prefer to bike a bit further? The equally picturesque Broek in Waterland is located a bit further inland. Tip: at Holysloot you can go on a whisper boat. At Zunderdorp you can tap a fresh glass of milk and buy products directly from the farm at Zorgboerderij Ons Verlangen. Beachgoers don't have to travel to Zandvoort, they can go to Blijburg! 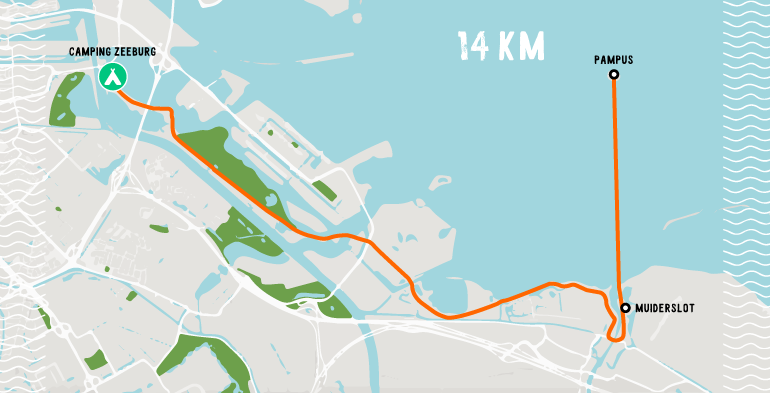 In 20 minutes you can bike to the only real city beach of Amsterdam. Apart from a sandy beach there is also a beach club where parties and yoga classes are frequently organized.